There's a round button with a stripe and a circle on it. This is the power button. 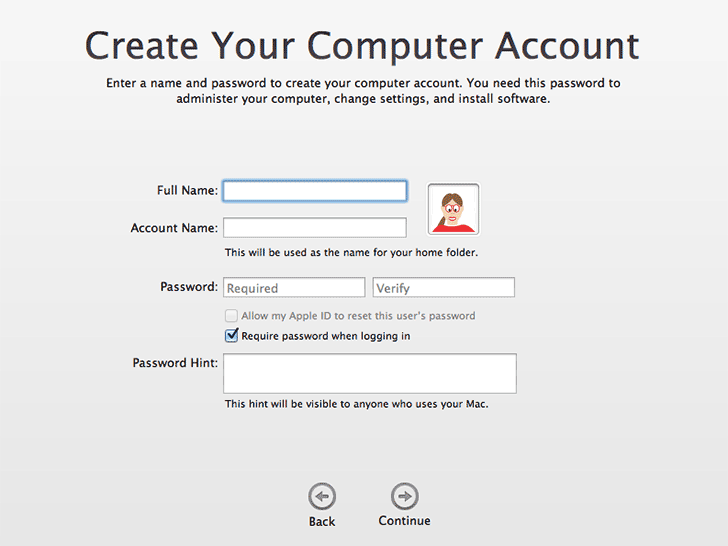 The first time your new Mac boots, it will ask you to choose an Username and Password. Do choose these well, especially your Username. You'll see this name all the time you'll be using your Mac. Make up a password that is at least 6 characters long, with numbers in it. Write it down somewhere safe (!!). In its left corner the Apple logo, home of the Apple Menu. At it's right right you'll find a little magnifying glass. 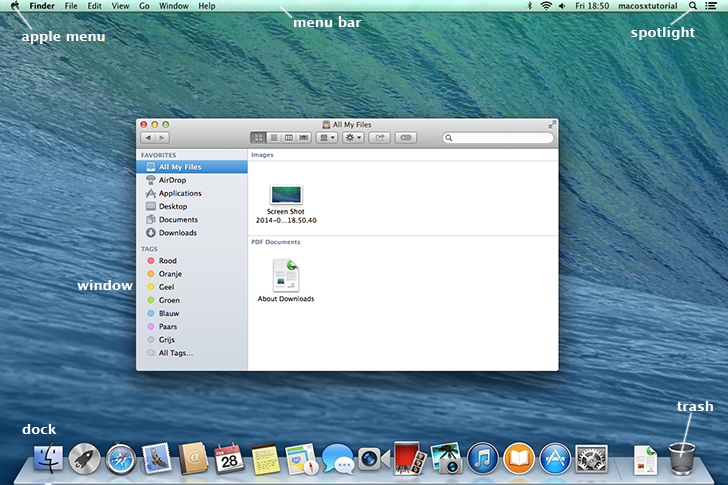 It represents Spotlight, the local search engine of Mac OS X. At the bottom of your desktop there's a transparent row of icons. This is called The Dock. How to turn off a Mac? 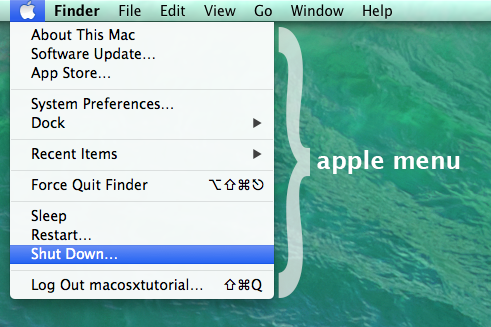 You'll find the option for Shut Down in the Menu down the Apple logo. 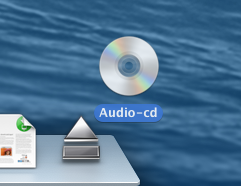 Click the logo and the so-called 'Apple Menu' flips open. Select 'Shut Down...' and the Mac will close all applications and turn itself off. You can also find Restart and Sleep* in the Apple Menu. *Sleep means that the computer is powered on, but using as little energy as possible. Sleep occurs after a while when you leave your Mac alone. To awake a sleeping Mac? Touch its keyboard. 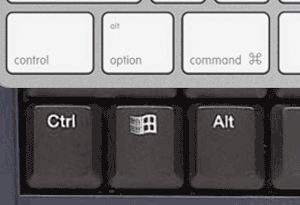 - A Windows keyboard (the black one) uses Control (Ctrl), Windows, Option (Alt). - The white Apple keyboard: Control (Ctrl), Option (Alt) and Command. The Mac doesn't have a delete key as Windows uses. You can use Fn + Delete. 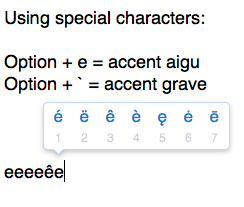 NOTE: Fn is the key at the upper lower left of your keyboard and on Apple notebooks. You may recognize this method from the iPhone / iPad.